The coating centrifuges which were originally developed by Ellerwerk and optimized by HEINKEL enable optimal results when lacquering, coating, lubricating or treating smaller parts or components with zapon lacquer. When designing the machines the HEINKEL experts put a special focus on easy operation, smooth maintenance and reliable high-quality results. 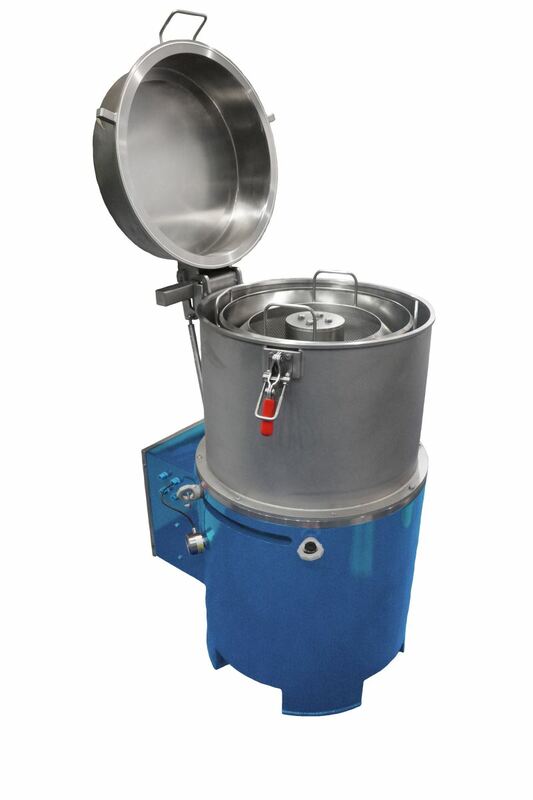 Furthermore HEINKEL coating centrifuges can be used for the recovery of cooling lubricants, the oil removal from metal chips and drying of galvanized parts as well as in the recycling of paints and lacquers. Especially for the use of solvent-based coating agents under ATEX conditions, HEINKEL has developed the coating centrifuges V 450 TT Ex enabling a fully automated coating process. In order to meet different customer requirements, important parameters of the coating process can be adjusted individually including dipping and dripping times, number of dipping cycles, number of vibration cycles as well as spinning speed and time.